Attractive waterfront dining in Oakland's Jack London Square. 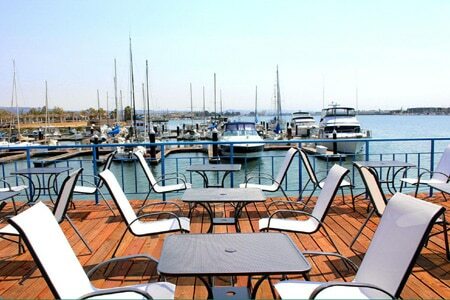 : Eve's Waterfront in Oakland's Jack London Square features indoor and al fresco waterfront dining and a full bar. The attractive space includes floor-to-ceiling panoramic windows, midcentury modern wood accents, and a vintage, oceanfront feel throughout. The menu focuses on seafood. Of special note is the ample free parking.